Marc Salem’s Mind Over Chicago begins previews on Sunday, February 7 and will run through Sunday, March 27. ChiIL Mama will be there for opening night so check back soon after for our full review both here and at our sister site, ChiIL Live Shows. The newly designed and renovated Apollo Theater Chicago, 2540 N Lincoln Ave, is excited to present a special limited engagement of Marc Salem’s Mind Over Chicago, the latest interactive show in Marc Salem’s Mind Over… series, created with tasty local flavor specifically for the Windy City. Amazing and amusing, Marc’s theatrical creations have been hailed as “NOT TO BE MISSED!” by ABC News and “A SUREFIRE ‘you-gotta-see-this-show’ SHOW!” by Variety. 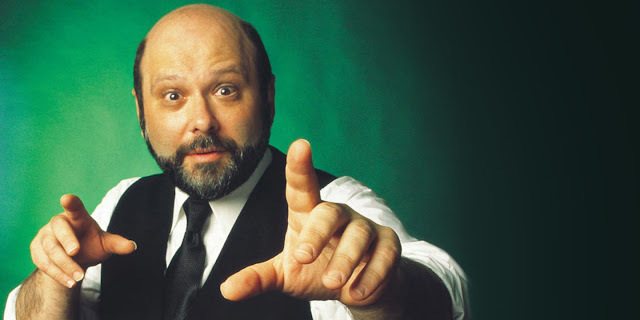 Both fascinating and psychological, his performances have been enjoyed by millions around the world from Broadway and the West End to the Sydney Opera House and Singapore, earning him the name “The King of the Mind-Readers” by Time Out. Marc’s mystifying techniques and quick wit “break the lock” on the minds of randomly selected audience members. He has had the pleasure of outwitting such well-known celebrities as Sting, Chris Rock, Jerry Seinfeld, Donald Trump, Arthur Miller, Paul Newman, Prince Andrew, Judi Dench, Ronald Reagan, Michael Strahan, Bruce Willis, Big Bird and Oscar the Grouch, Vice President Joe Biden, New York Mayors Koch, Giuliani & Bloomberg, Chicago’s own Oprah Winfrey, and many more. Most performances will be Saturdays at 5 p.m. and 8 p.m., and Sundays at 3:30 p.m. and 7 p.m., with a special Monday night performance on February 29 at 7:30 p.m. Some performances may vary so call the box office or visit the website to confirm. Tickets are: $50 ($35 for previews). Student, Military and Group discounts are available. For more information or to purchase tickets, contact the Apollo Theater Chicago at 773.935.6100 or visit http://www.apollochicago.com/. Saturday, February 20; 5:00 p.m.
Saturday, February 20; 8:00 p.m.
Sunday, February 28; 3:30 p.m.
Sunday, February 28; 7:00 p.m.
Every Saturday, 5:00 p.m. & 8:00 p.m.
Every Sunday, 3:30 p.m. & 7:00 p.m.
As the world’s leading mentalist, Marc Salem has been featured on: Through the Wormhole (narrated by Morgan Freeman); the fascinating series Brain Games; a 60-Minutes profile; and his own upcoming series on the National Geographic Channel, Mind Games, set to premiere in May. Holding degrees from the University of Pennsylvania and New York University, Marc Salem has been an authority on non-verbal communication for over 30 years, serving on the faculty of major universities for nearly 20 years. This jaw-dropping entertainer has traveled the world, amazing audiences while exploring the fascinating potential of the human mind. Marc completed three sell-out seasons in London and has had two extended runs on Broadway. He is seen regularly on COURT TV, and was a director of research at Sesame Street for ten years. He has been featured on The O’Reilly Factor, The Howard Stern Show, Montel, Maury, Regis, and CNN, along with hundreds of other television and radio appearances. The Apollo Theater Chicago, located in the heart of Chicago’s Lincoln Park since 1978, has been home to many of the city’s biggest hits including, most recently, Million Dollar Quartet, which became the longest-running Broadway musical in Chicago history. Resident companies of the Apollo Theater Chicago include Emerald City Theatre Company and Baby Wants Candy, and many up-and-coming companies can be seen nightly in the theater’s 50-seat downstairs studio. Recently renovated and fully accessible, the Apollo Theater Chicago’s intimate 435-seat mainstage continues to deliver world-class theater as one of the city’s premiere off-Loop houses.